Are you jumping around from one marketing company to the next? It’s time to STOP having one night stands with your marketing and START developing a healthy, committed relationship with it instead. But all jokes aside, when you work with a bunch of different marketing companies, it’s almost impossible to come up with a cohesive branding and marketing strategy that generates real results. Whether you’re a start-up or you’re in the phase of scaling your practice, you need to work with a marketing company who maps out a strategic business plan that’s 100% customized and catered for YOU. 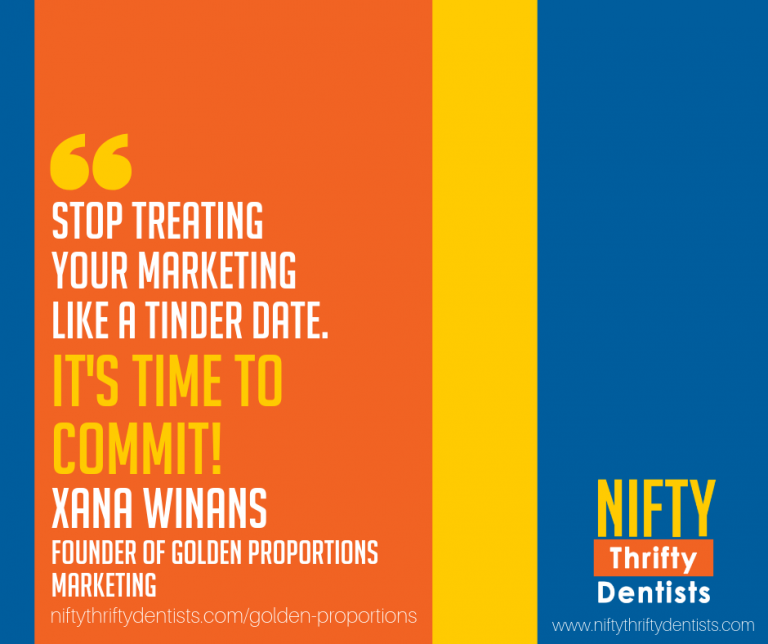 If you’re ready to stop treating your marketing plans like Tinder dates, check out my video call with Xana Winans, the founder of Golden Proportions Marketing and Smart Market Dental. We talk all about tracking your marketing campaigns and why it’s a good idea to work with full–service marketing companies. Xana was kind enough to offer not one, but TWO special offers exclusively for Nifty Thrifty Dentists! Are you ready to reach your potential? 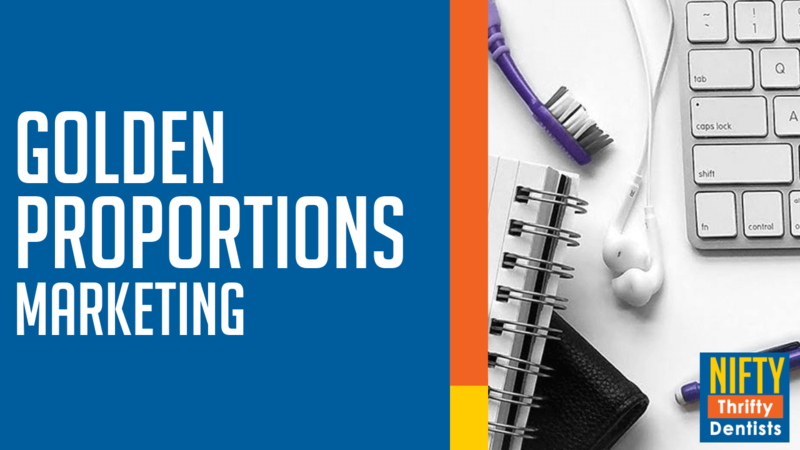 Take advantage of these members-only deals and experience dental marketing that impacts your reputation, new patient numbers, and your bottom line. Ready to increase the impact of your dental marketing? Call 570-742-5656, today. Or, submit the form via https://go.goldenproportions.com/nifty-thrifty to find out more about how you can get your hands on this SUPER Nifty Thrifty Deal! This post contains affiliate links, which means we receive a commission at no additional cost to you. The funds we receive are small and go towards running this site and our podcast. For more information about our affiliate policy, please click this link.